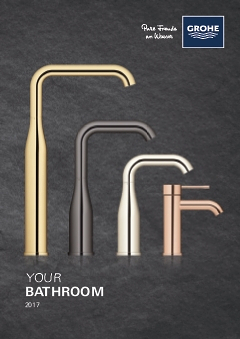 Presented in hard-wearing GROHE StarLight chrome, this Eurodisc Joy range tap will enhance any bathroom. This single-lever mixer has a medium-high spout and a pop-up waste, and comes with a range of practical technology built in. The GROHE FeatherControl cartridge lets you vary water temperature and flow with ease. You can cut down on waste water because the tap caps use at 5.7 litres per minute. You also benefit from fast, hassle-free fitting thanks to the QuickFix Plus system. The SpeedClean anti-lime system makes maintenance straightforward. Any limescale building up on the aerator can be cleaned off with just a wipe. So even after being used every day, this tap will keep its sheen.